Affordable luxury. Get started today. 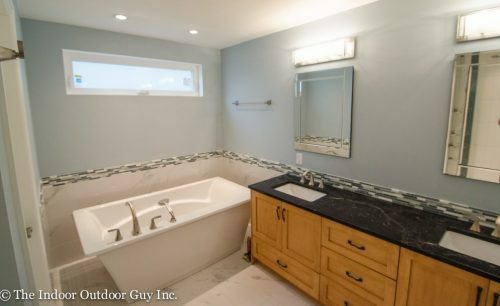 The Indoor Outdoor Guy Renovations offers design and construction services for your bathrooms. Lower Mainland, Richmond and Vancouver. 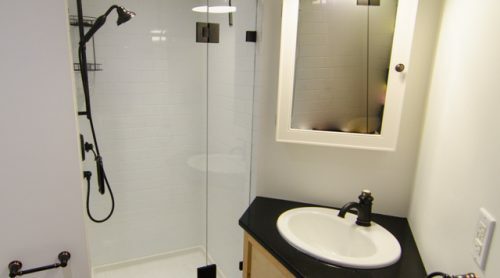 Bathroom renovations in Vancouver can be one of the more straight forward renovations, however because of the many different styles for fixtures, counter tops, and tiles, bathroom renovations tend to involve multiple design decisions compared to other renovations. Design choices with bathrooms are further compounded because of the small areas which they typically occupy. Bathroom and kitchen renovations renovations tend to fall into one of two categories: the straightforward design update or the design/build project. This is the most economical renovation as the toilet, sink and bathtub or shower generally stay in the same locations even though they are replaced with new versions. However, this renovation still results in a completely new bathroom. We walk through the design of new fixtures and finishes for every aspect of the bathroom. This type of renovation is more economical because their are no plumbing or electrical changes in the walls, ceilings or floors. The permitting process for this type of bathroom is very simple. The design build approach is required when you will be changing the layout of the bathroom substantially, such as moving the toilet from one side of the bathroom to the other, adding a free standing tub or taking space away from a closet or adjacent room to make a bathroom bigger. 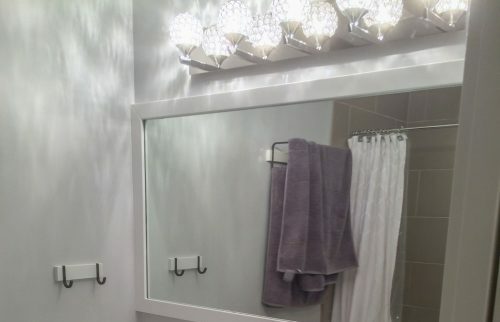 When it comes to bathrooms, this type of renovation typically involves more than 3 fixtures. 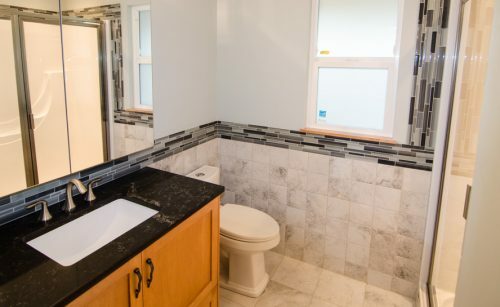 As opposed to a regular bathroom which generally has a sink, toilet and tub/shower combination, these bathrooms generally have a separate shower and either a deck mounted tub or a free standing tub. 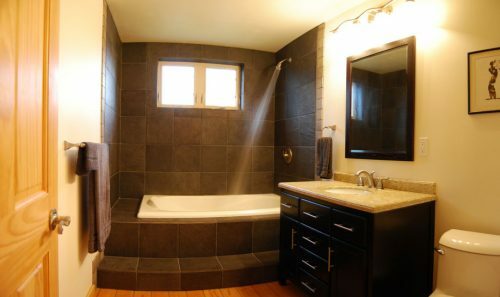 However, this is not always the rule as some of our design/build bathrooms have had the tub removed and replaced it with a large walk-in shower. 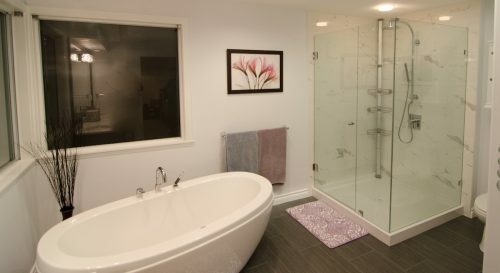 When renovating a bathroom in Richmond or Vancouver, this approach involves two steps. In the design phase of this approach, our designer meets with you to design all aspects of the bathroom. 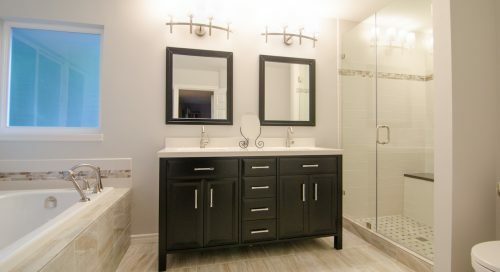 Our designer will work with the you to select all the bathroom fixtures, countertops, vanities, faucets, tile finishes, flooring, trim, and paint colors. As a result of this process a complete set of plans for the bathroom is drawn up. These plans will be used not only for the permit process but also to serve as a guide to the carpenters, electricians and tile setters in the construction of the bathroom. The second phase of this design build approach is the construction of your bathroom. Whether you are simply wanting to update your bathroom or completely redesign it, we would be happy to offer you a bathroom consultation in your home without charge. 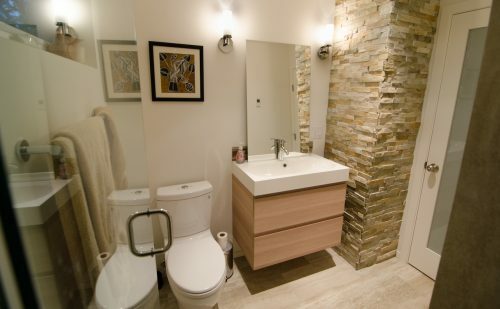 Call us at 604-277-5572 to book your bathroom consultation or submit your request online. An online request allows you to give us more details on your bathroom as well as your contact information. This client really enjoyed bathes and wanted a bathroom with the most luxurious deep soaker tub. The tub that we found for her i.. 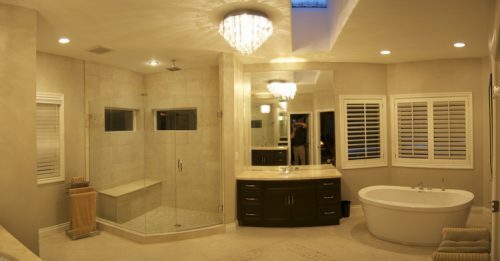 The client’s desired that this bathroom have a big wow factor, while still remaining functional. The existing bathroom had .. The client’s desired that this bathroom have a big wow factor, while still remaining functional. The client followed our rec.. This bathroom involved a new tile floor, a new free standing tub, a two sink vanity and a custom wedi shower stall. This client .. This bathroom was part of a larger addition renovation. The clients wanted a stylish bathroom that had a modern design. This n.. This project included the complete renovation of two bathrooms, new stair railings, and new carpeting on the stairs and second flo.. 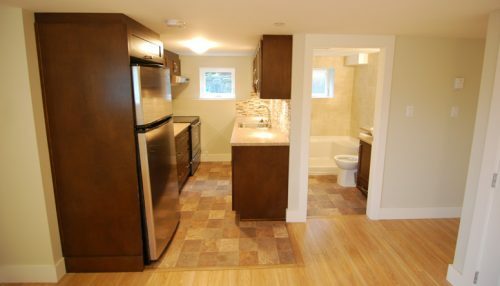 This renovation included a complete bathroom renovation, as well as the construction of a walk in closet. The bathroom renovation .. The Shower and Vanity The clients wanted to make some major changes to this en-suite washroom. The current bathroom had a small sh.. This client wanted a relaxing spa-like bathroom that she could use at the end of the day to unwind. This bathroom features a deep .. This bathroom was part of a larger two story addition renovation. The clients wanted a stylish bathroom while keeping the budget..
Panoramic View. Important note about panoramic photos: Due to the nature of the way panoramic photos are made (a group of photos f..
Rainforest ash porcelain tile was used on the tub/shower enclosure. A large deck mounted bathtub with a stair for easy access is .. The client asked us to renovate two bathrooms at the same time as they wanted both the bathrooms to match and to take advantage of.. The client wanted a compact kitchen that would be easy to use, where everything would be close at hand. This kitchen features, flo..